This week has been a little busy. A little sad. A little crazy. And a lot Blessed. The quality of these pictures accurately represents the quality of everything i did this week….blurry and not quite right! 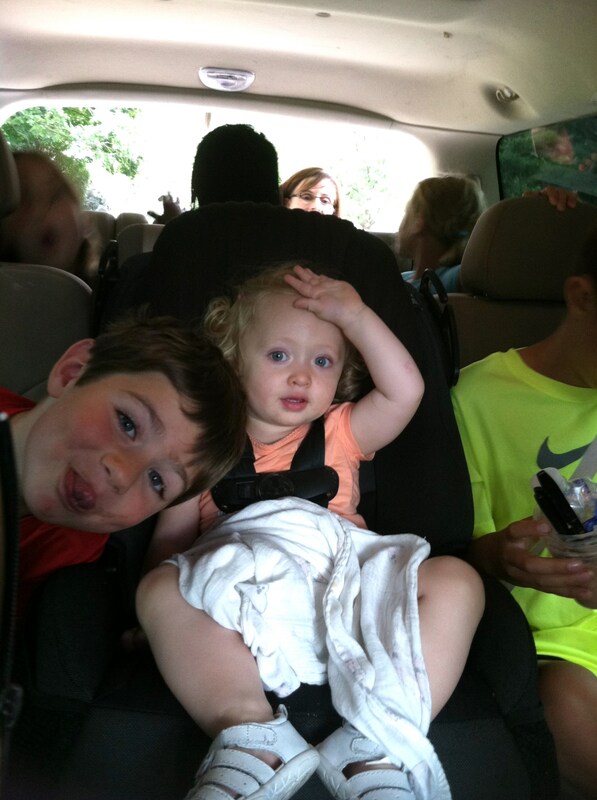 Blessing spent Monday at bible camp with two little girlfriends. 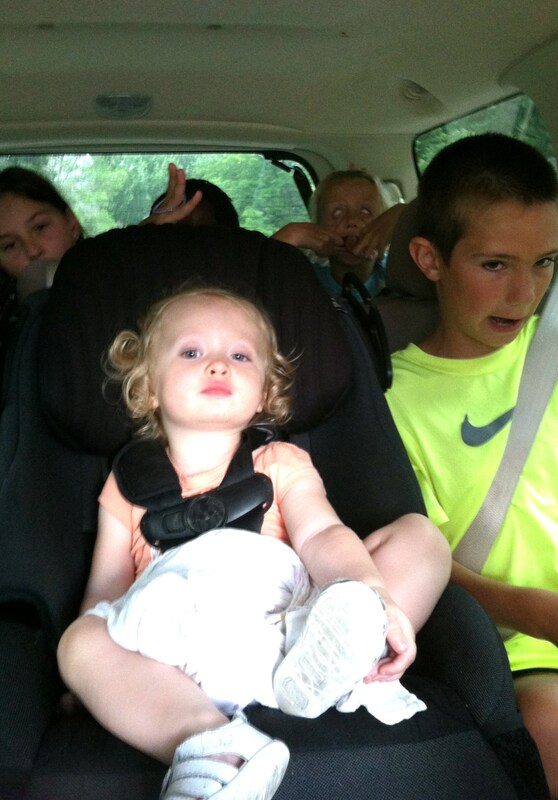 Myself, the Russell Trio and our Finley spent 4 hours in the truck traveling to pick the girls up in the afternoon. Six elementary kids, a toddler, a beautiful afternoon along the river, twist ice cream cones + the rule that you are only allowed to speak if you use a British or Scottish accent made for a hilarious happy adventure. A very sweet treasure of my past 11 years as a mamma has been caring for Derek, Andrew and Seth. I am fast moving into day care retirement as all three boys will be in full time school this fall. 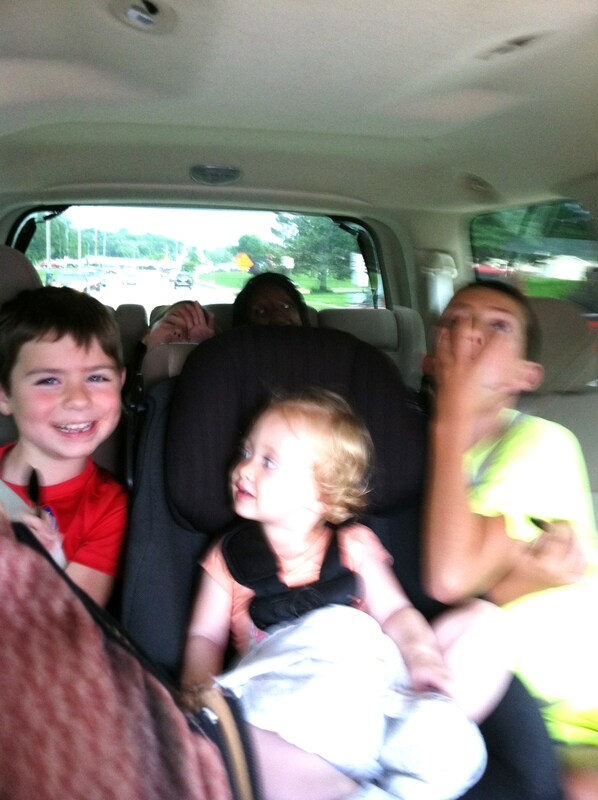 I have had the boys just a handful of days this summer. 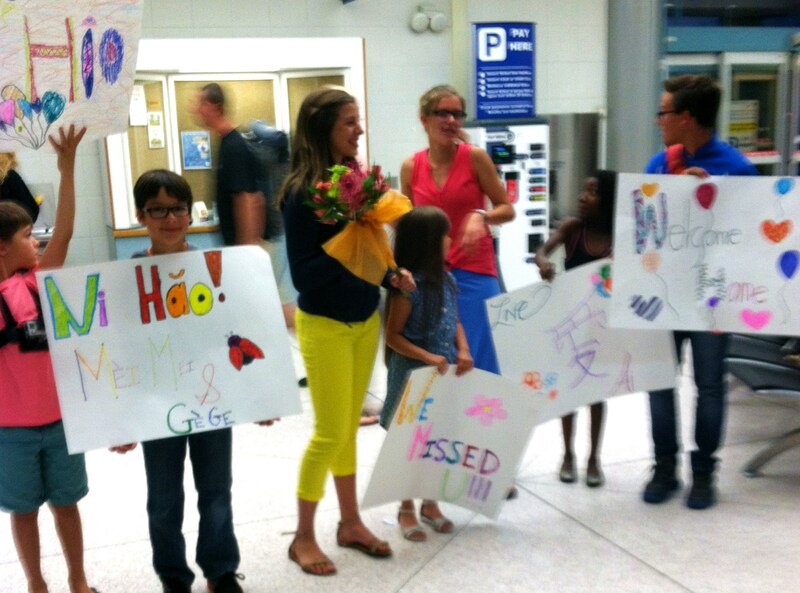 Wednesday evening our sweet friends the Rigelsky’s landed in LaCrosse with their two newest little ones, we were a part of the welcoming mob at the airport. 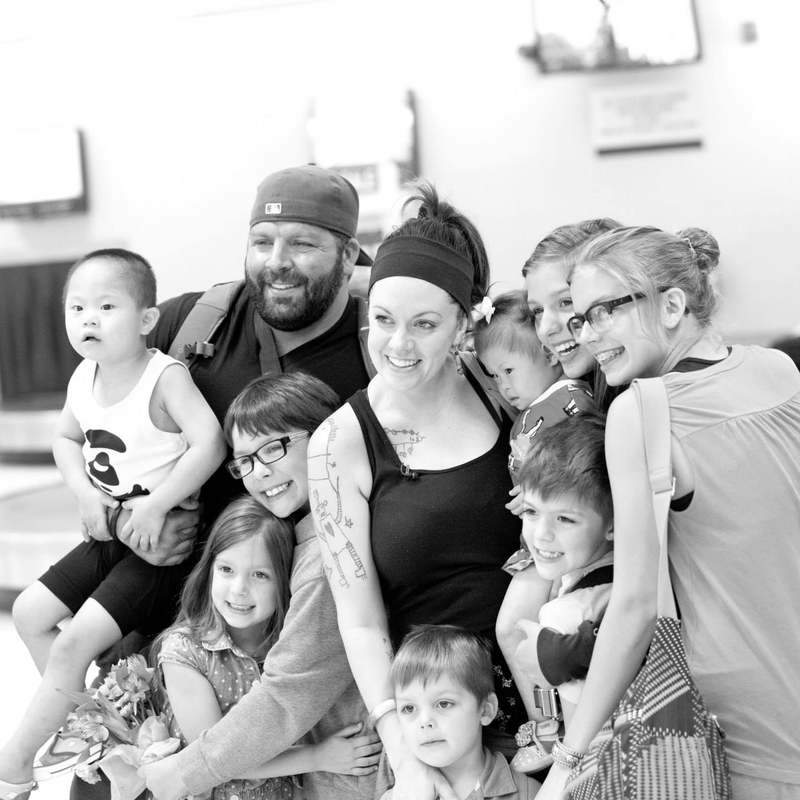 What an amazing miracle it is to watch a family be knit together through adoption. We are so thankful for HIS amazing plan for little Worthy and Gospel in bringing them to their family and home in LaCrosse. Thursday we remembered and said good-bye to the daddy of a sweet young friend. We rejoice in knowing Doug is healthy and happy in Heaven. We ache with his family as they learn to move through each day without their dad and Grandpa. Please pray for them. 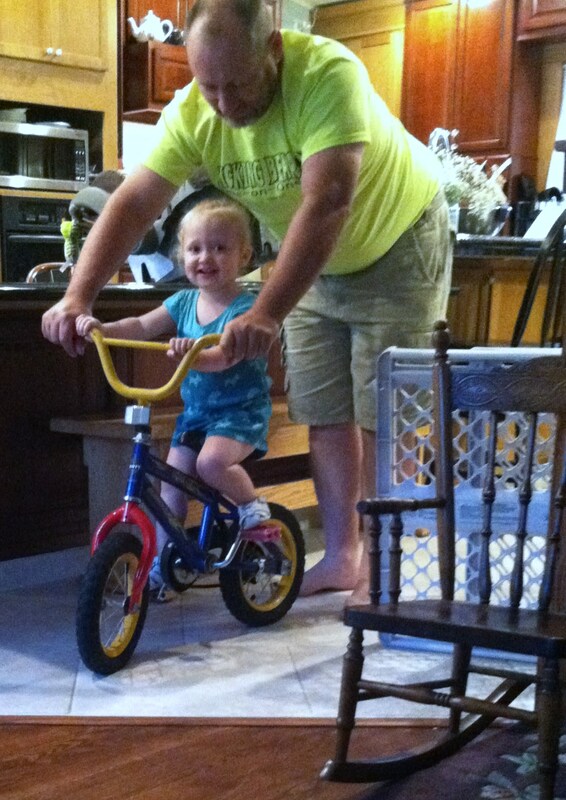 Pappa and Finley did some biking in the kitchen and living room, a fantastically fun time was had by all. We finished our day care week with a trip to Planes II. 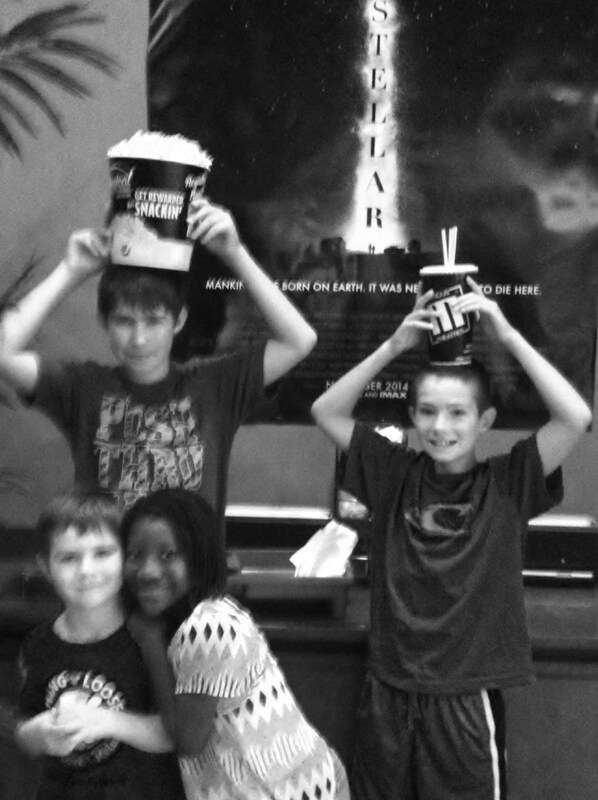 I’m not sure why the popcorn and pop are on the heads and i am not sure why this picture is so blurry. I am now trying “life hack”, put packaging tape over your iphone lense (google it) and we will see how that works out. i had a headache most of the week because i do not do a great job of managing busy, tired and emotional. I don’t always know how to do the details but i always know who holds all the details in HIS hand. i love the chance to start over each morning and learn a little more about doing each moment in HIS direction, by HIS strength for HIS glory, Blessed !